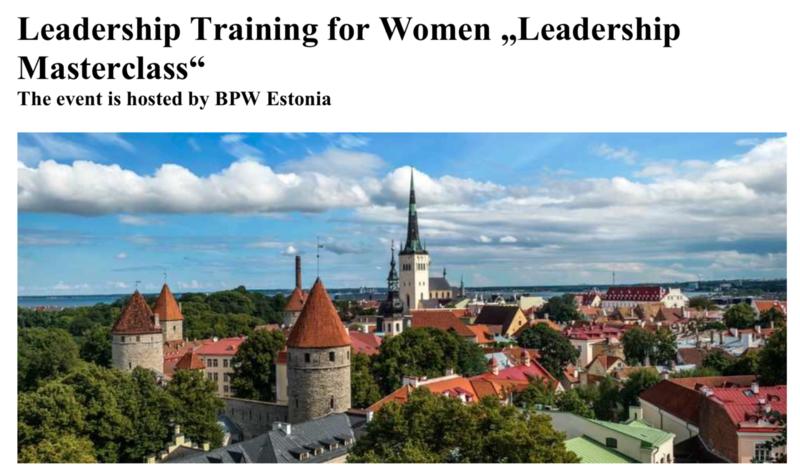 Leadership Training for Women "Leadership Masterclass" - bpw-leadershiplifelonglearnings Webseite! Leadership Training for Women "Leadership Masterclass"
After many very successful workshops in different European countries, we are happy to announce the Leadership training in Estonia. Leadership training is followed by Train the Trainer session.